Diwali — or Deepavali — is coming up on Wednesday, and it's a beautiful time of year to celebrate. But while it has been popularized as the festival of lights, it is so much more than that — so what is Diwali and why is it celebrated? Growing up in the Indian diaspora, Diwali was easily the most profound connection I had to my homeland, and I love seeing Americans learning about and celebrating it. After all, it is one of the most significant festivals in my culture, and its message — of the triumph of good over evil — is one that I think resonates with people across the world. However, as with any cultural event, it is important to be aware of its significance. This holiday is celebrated by millions of Hindus, Sikhs, Jains, and Buddhists across the world, and the reasons for its celebration vary on the basis of religious, cultural, and regional tradition. Therefore, I cannot pretend to speak to every single person's understanding of Diwali, because it means something different to every person who celebrates it. Despite this, it carries with it the universal theme of light defeating darkness, which is how it became known as the festival of lights. What Is Diwali, And Who Celebrates It? As I said, Diwali is celebrated for a number of different reasons across the board, but the themes of return, light, and goodness seem to be universal. Let's take a closer look at why Hindus, Sikhs, Jains, and Buddhists celebrate Diwali. In Hindu tradition: According to legend, Diwali marked the return of the lord Rama, his wife, Sita, and his brother Lakshmana to the kingdom of Ayodhya after a long period of exile, during which Rama defeated the demon king Ravana. In Sikh tradition: Diwali coincides with Bandi Chhor Divas, which celebrates the escape of Guru Har Gobind — the sixth of the Sikh gurus — and numerous Hindu kings from the prison of Jahangir, the Mughal emperor. 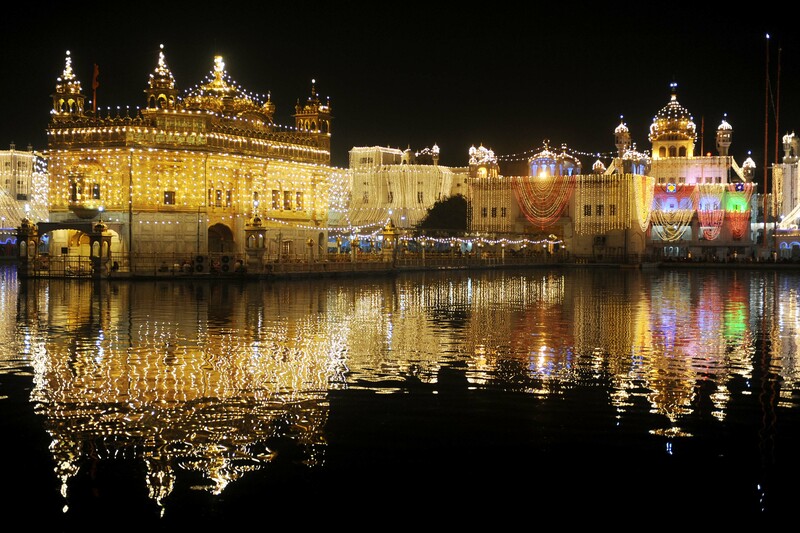 The holiday therefore celebrates this freedom as well as Guru Har Gobind's return to the Golden Temple in Amritsar. In Jain tradition: On Diwali, Jains take time to remember and celebrate Lord Mahavira's attainment of Nirvana. Mahavira, who was a contemporary of Gautama Buddha, was the last Jain tirthankara — a person who has conquered the cycle of death and rebirth — of this cosmic time cycle. In Buddhist tradition: Diwali marks Emperor Ashoka's decision to follow a path of peace after witnessing a great deal of bloodshed and death and subsequently, his conversion to Buddhism. On Diwali, therefore, Buddhists celebrate both the emperor and Buddha, as well as the spiritual importance of light, goodness, and enlightenment. Diwali is an official holiday not only in India, but also in Nepal, Sri Lanka, Myanmar, Mauritius, Malaysia, Singapore, Fiji, and several other countries, and in some parts of India, it also coincides with the Hindu New Year. Although it signifies different things for different people, it is ultimately a festival that celebrates the triumph of light over darkness, or good over evil. For this reason, it is one of the happiest and brightest festivals of the year. So How Is It Celebrated? When Diwali is approaching, people clean their homes and decorate them. Elaborate rangoli — a type of folk art that involves decorating the floor with colored rice, sand, or flower petals — can be found inside and outside people's homes, and rangoli competitions are fairly common. Many buy new clothes, as well as gifts for relatives and friends, and women and girls often sport henna on their hands. Children are regaled with legends that celebrate the victory of good over evil — this was how I learned so much about the holiday. And the best part: Everyone lights lamps, candles, firecrackers, and fireworks to illuminate their neighborhoods with as much light as possible. There are numerous religious ceremonies performed during Diwali, which vary from region to region. In several northern parts of India — though this has changed over the years to include other parts of the subcontinent — Hindus hold ceremonies for Lakshmi, the goddess of wealth and prosperity, on the night of the new moon. They fill their homes with as much light as possible, such that Lakshmi might find her way to their homes in the darkness and bless them with wealth and success. During the five-day celebration of Diwali, there are also days devoted to celebrating the devotion between husband and wife as well as between brother and sister. And because it is meant to be a celebration of light and goodness, Diwali can also be a festival of peace. For example, at the border between their countries, Indian and Pakistani forces might exchange sweet treats from their cultures as a gesture of goodwill. Why Is It Important To Understand Diwali's Significance? Diwali is a fun time of year, and it's easy to think that it's only about the lights or the food or the decorations. But Diwali is an ancient tradition, and needs to be respected as such. I'm glad that people outside my culture enjoy participating in the festivities, but it's frustrating — as it is during any other religious or cultural holiday — to see people neglect its cultural and historical significance. Diwali is such a positive festival, and its message of good triumphing over evil is a universal one. Even if you are not religious — I'm not, for example — it is important to respect others' beliefs, and having some understanding of why a holiday is celebrated is a great way to learn about and immerse yourself in other cultures. We want you to acknowledge us and celebrate with us, and hopefully, this Diwali primer will help you out this month as you navigate various celebrations of the holiday.